Guest Author: Alexis Harrington & Giveaway! Although I enjoy reading all kinds of fiction and most romance sub-genres, my heart will always belong to historical romance. 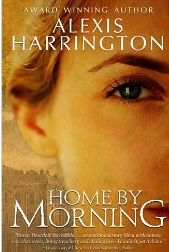 That’s why I’m so pleased to feature Alexis Harrington on my blog today. 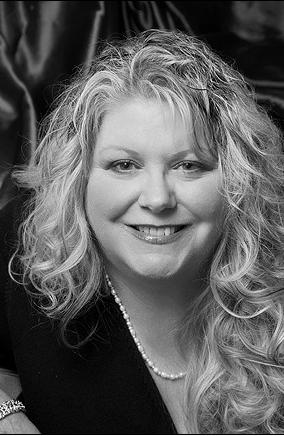 Alexis writes bestselling Western historical romance, and has released eleven books over the last nineteen years. She’s been published with NAL and St. Martin’s Press, and her books have won several awards, including RT’s K.I.S.S. Award for Allie’s Moon. Unfortunately, this particular sub-genre of romance doesn’t always receive a lot of love from publishers, with the result that Western historicals can be hard to find. Fortunately, Alexis has been able to bring some of her older books out in digital format. Check out her website for all the details on her newly republished backlist. 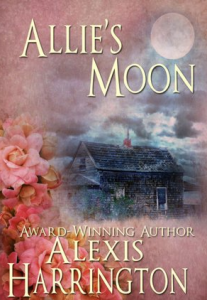 Alexis has recently scored another publishing deal—a two book contract with Amazon’s new romance imprint, Montlake. The first book will be a reissue of one of her most popular books, Home By Morning, and will come out on December 24. Alexis will follow that up with a brand new book in July—a sequel entitled Home By Nightfall. October 1918: En route from New York to Seattle, Jessica Layton stops for a visit in her hometown of Powell Springs, Oregon, and comes face-to-face with Cole Braddock, her first and only love. Now, years later, Jessica is a highly accomplished clinical physician preparing for an exciting new job in Washington, and Cole is a successful horse breeder who is courting her sister Amy. Both are convinced they have moved beyond their youthful passion and the heartbreak it produced; nonetheless, they are grateful that Jessica’s brief visit will leave little opportunity to rehash old wounds. But before Dr. Layton can leave town, Powell Springs is hit hard by the influenza epidemic ravaging the country. With no other doctors available, Jessica must remain in Oregon and tend to her friends and former neighbors. Her work brings her in constant contact with Cole, and with each passing day he finds it harder to convince himself that sweet-tempered Amy can fill his heart as Jessica once did. Set against the backdrop of World War I and the epidemic of 1918, Home by Morning is a compelling story of betrayal, heartbreak, and redemption. Doesn’t that sound totally cool? A Western set during WW I, and against the backdrop of the great flu epidemic of 1918. You can find all the details on Alexis’ website or at Amazon. For my readers today, Alexis will be giving away a copy of Home By Morning. Let’s talk about Western historical romance. Is this a sub-genre you like? If so, who are the authors you like to read? One person who comments will win a copy of Home By Morning.